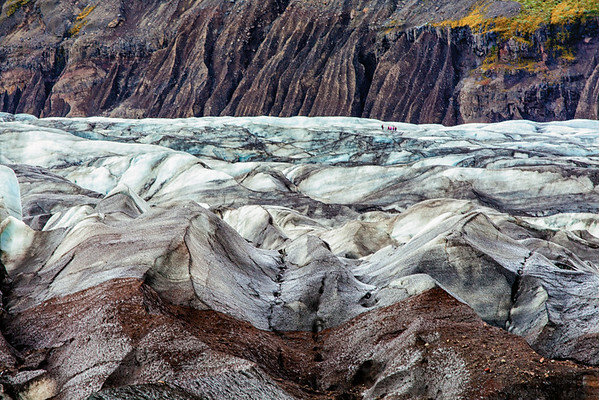 If you carefully scan the ridges on the glacier, you will see a group of people doing a glacier walk. They offer some scale to the size of the Icelandic glaciers. This glacier is at Skeftafell National Park.